I don’t naturally love the Whole30 for several reasons. First off, I love me some dessert. My husband and I get into these kicks where we make a certain dessert 923498730 times in like 2 weeks, just because we found it and love it. Last month, it was cinnamon rolls. We realized that even though we both love them, we had never made them before, and promptly fixed the problem by making them a dozen times that month…..
That’s reason #1 that we need to do the Whole30, and the same reason that I don’t want to. I also love cheese (I’ve gotten this new fix with freshly grated Parmesan) and bread (homemade, crispy on the outside, fluffy on the inside) and milk (right from the jug, judge me). However, eating poorly and having babies does stuff to you (1248239 pounds later) and the hubster and I are both looking for a weight loss program that doesn’t make us hungry, cause we ain’t about that life. So there you have it. I am admitting that I care about 20% about the actual health benefits of the Whole30. Mostly, I want a relatively reliable weight loss program. However, never eating cheese again? Or ice cream? Who are these people? This is just not realistic for the average person who loves food or who has a brain. I remember laughing inside at some pitiful girl who didn’t know how to tell her boyfriend that she wasn’t ever going to eat chips again. So, from the get-go, know these 3 things. 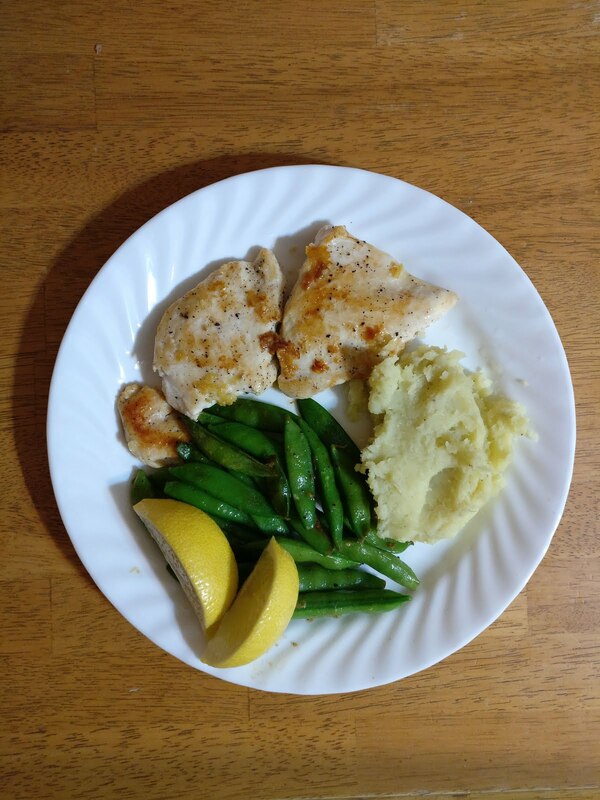 1 – I want to be healthier and lose weight, and I believe that the Whole30 is a positive program that will help me accomplish those goals and help me towards a better lifestyle. 2 – I like normal ‘Merican food, like burritos and burgers. 3 – I am going to make cinnamon rolls next month. 1. Don’t be ignorant. Learn the rules, figure out what you can and can’t have, and do the program right. Don’t complain that you didn’t see or feel any results if you were constantly bending the rules. I lost more weight on my first Whole30 because the food was boring and repetitive and I hated eating. So I ate less. That’s not the way to go. Dieting is much less likely to be successful (long-term) if you hate it. I don’t have a scientific link to support that. Just common sense. LISTEN TO ME. Adapt your regular meals to be compliant. Seriously! – Shish Kebabs. Those things are just meat and veggies anyway. Helloooooo. – Vegetable soup. 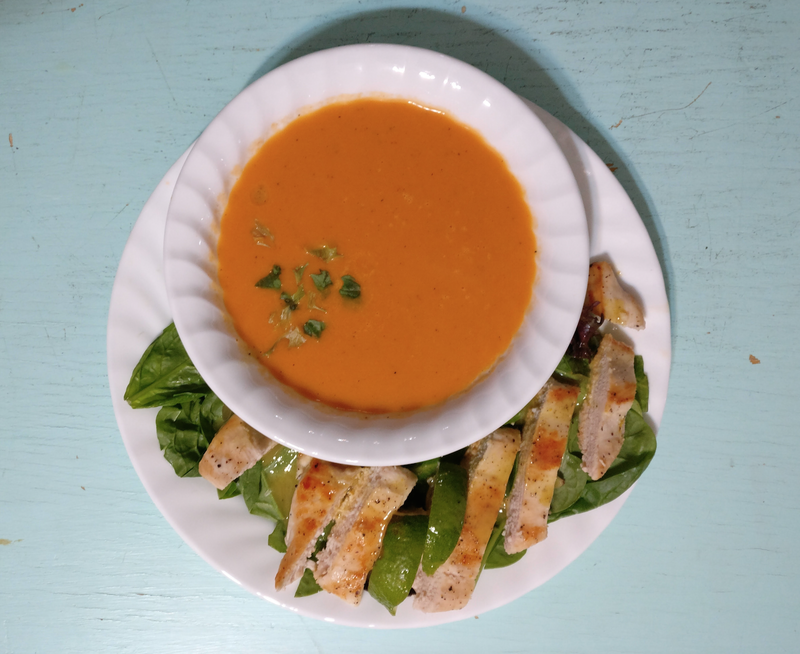 I have one zingy recipe that saved my husband and I during our first Whole30, cause it was so good, and we didn’t plan ahead enough, so we just made this over and over. It only took us 5,000 times to get tired of it. Now we hate it. But I know we used to love it. Haha. So when I get around to posting it, you should try it out. – Oven baked fries! Sweet potatoes or white potatoes. Slice them up, season them with compliant spices, and drizzle them with olive oil. BAM. Not a diet. – Deviled eggs are my very favorite thing. Make your own Whole30 mayo and you can make deviled eggs. Which do NOT feel like a diet. Which brings me to…. – Dressings and sauces. I remember Day 1 of my first Whole30. It was lunch time. I was excited for the program, and I spent all this time making a rocking salad… only to realize that I had no dressing to put on it. We ate the salad dry, and it was disgusting. After researching compliant salad dressings, you’re going to find out real quick that they are not cheap. I’m invested in my health, but HOW invested in my health…? Solution: Make. Yo. Own. Once you make homemade mayo, you can make a LOT of salad dressings out of the mayo, using it as a base. I love the Whole30 ranch and Italian dressings I’ve made, and there are lots of dressings that I haven’t tried yet that are out there. 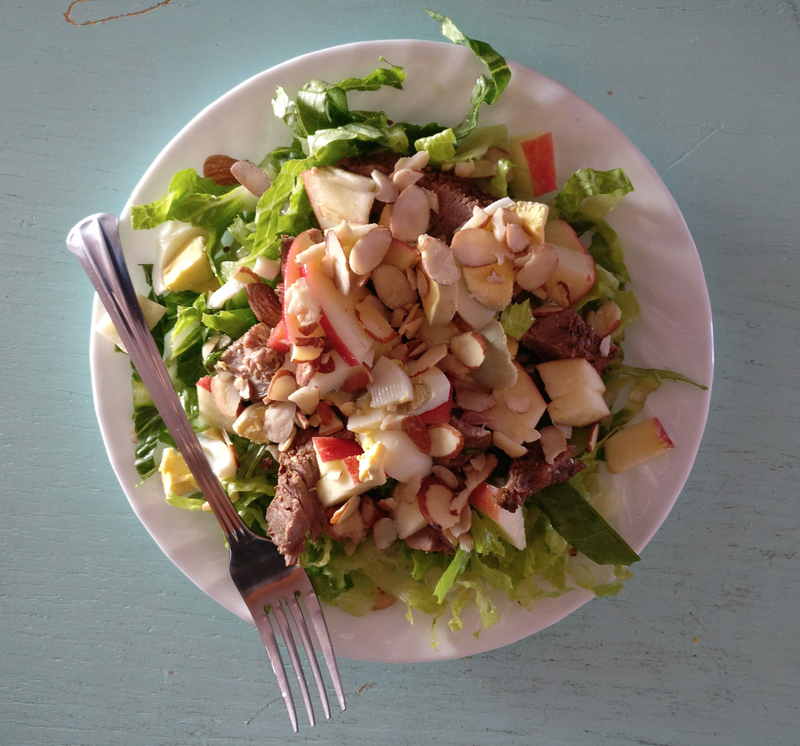 – Salad. Why not? Vary it up, have a salad erry day. 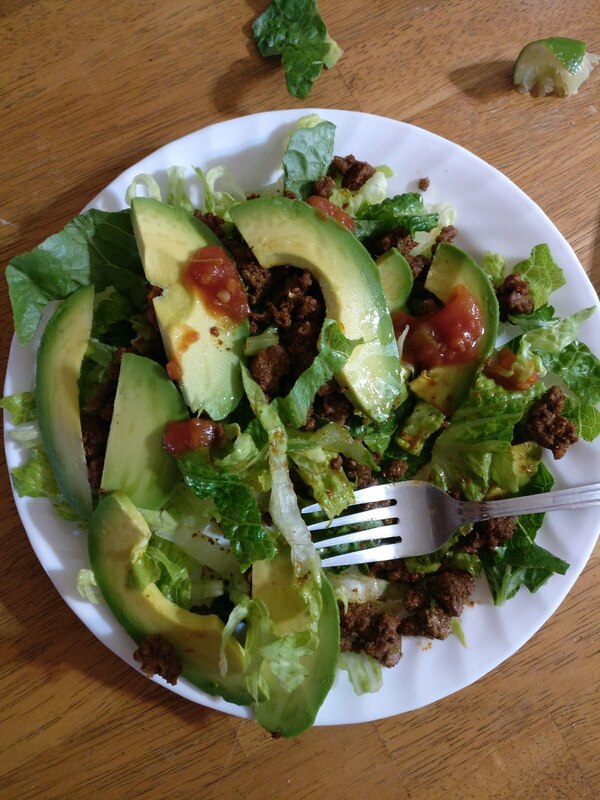 – TACO salad. So good. I love when I don’t feel like I’m dieting. BUT I AM. – Smoothies are semi-illegal. But we made them anyway, cause honestly it’s the worst to eat vegetables for breakfast. And because they weren’t completely illegal. Haha. – Chili. You don’t need beans (although I love a good bean-filled chili), you can use veggies like zucchini or sweet potatoes. Top it with some avocado and you’re set. 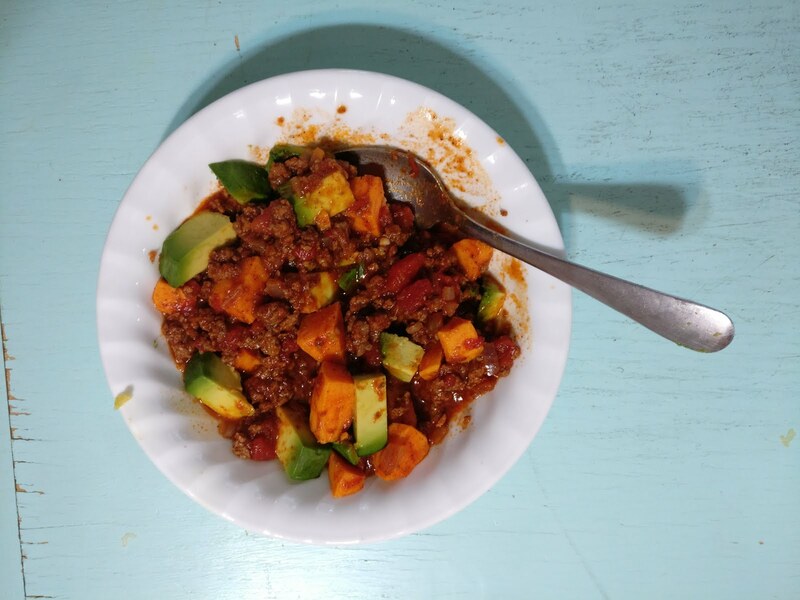 Mealime has a great bean-free chili recipe. – Use food apps that mix it up for you. The Mealime app has a lot of compliant meals. I’m sure there are other similar apps, but Mealime was super handy during our 3rd Whole30. It was also nice that Mealime created my shopping list for me. Holla. – Replace noodles with zoodles. No, not the same, but it helps. – Just leave out cheese (or other non-compliant foods). I have a Chicken Zucchini dish that make, where I just leave out the cheese, and it’s great on Whole30. 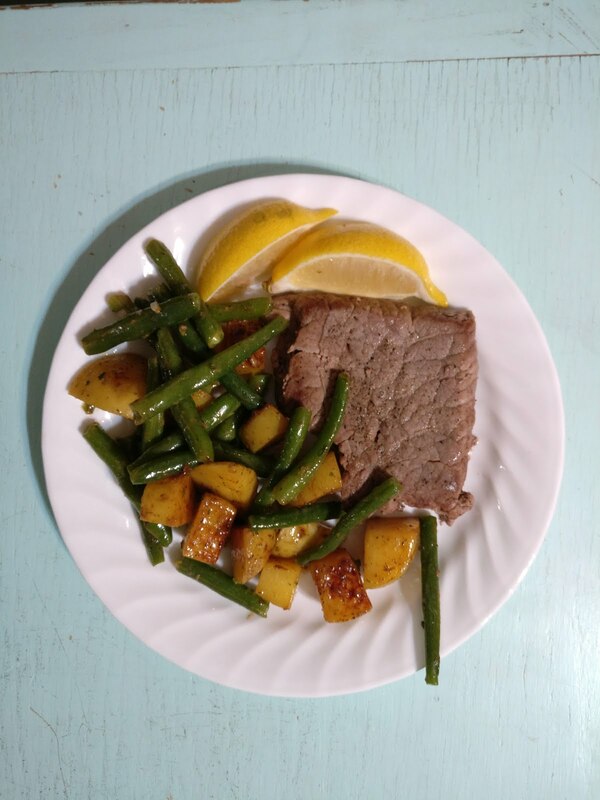 – Search Paleo meals on Pinterest. They’re not always 100% compliant, but it’s a good start, and there are more Paleo recipes out there than Whole30. You can always adapt them, but use them as a base. – Use a variety of meats. Chicken, beef, fish, pork, turkey. Mix it up. 3. Meal plan 2 weeks of meals, and do that same plan twice. That’s not too bad, right? It makes it so you can stick to relatively normal foods, and it won’t kill you to have the same meals twice in a month. 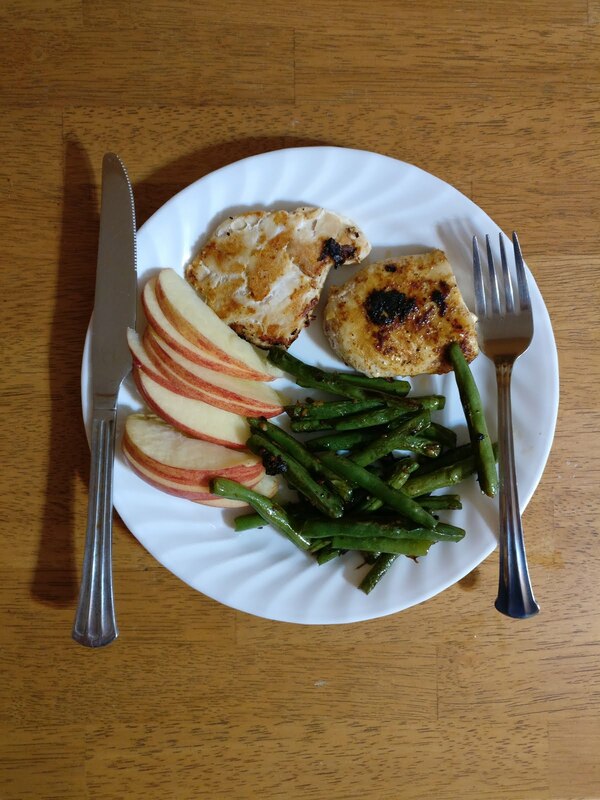 I liked doing it this way, because when you’re used to living off of pasta, sandwiches, and cheesy deliciousness, it can be difficult to plan Whole30 meals that are actually appealing. Let’s be honest, here. This way, you only have to plan 14 dinners, instead of 30. Throw in a few extra meal ideas, just in case. Plan a variety of breakfasts and lunches as well. Also, meal plan BEFORE you start the Whole30. 3.5. When I Whole30, I keep a list on the fridge of Breakfast ideas, Lunch ideas, Sides ideas, and Snack ideas. It’s so hard to be creative when you’re hungry. Do the hard work ahead of time. I keep my dinner meal plan on the fridge, as well. 4. Mental preparation is just as important as physical prep. More important, really. This is less of a physical battle. I am telling you now. We, as a human race, are mentally unstable creatures who crave things like sugar and carbs, and when we just NEED a chocolate milk, no amount of apples or carrots or delicious lemon garlic tilapia is going to satisfy that. If you’re not mentally ready, you’re going to have a rough journey. Do you really WANT this? Are you ready to turn down food offered at events or at a friend’s house? – I have also heard that the Whole30 book “It Starts with Food” helps a lot with mental stamina, but I’m too cheap to buy it. That is also why I probably don’t care about the specific health benefits of the program. Eh. – Do. Not. Have. Temptations. In. Your. House. AKA non-compliant foods that you happily eat daily. Don’t try to be “strong,” that’s stupid. Just get rid of them. Give them away to friends. There will be plenty of opportunities for you to be strong, believe me. If you spent a bunch of money on non-compliant food (like bulk blocks of cheese, etc. ), then store them in the freezer, or have a friend store them at their house for a month. You’ll thank me. It’s a lot easier to not quit the Whole30 when you have nothing great to quit for. – Have easy snacks on hand. You get home from work. It’s 4 PM. Not quite time for dinner, but you’re REALLY hungry. You’d better have some hard boiled eggs or a baggie of yummy fruit in the fridge, cause nobody wants to meal prep when they’re hangry. – Go shopping BEFORE you start. Don’t think you’re going to feel excited with an empty fridge. – Have a good plan for work, or for vacations or day trips. Your break room is generally not going to be brimming Whole30 compliant goodies. Same goes for fast food joints. 6. Support support support! Seriously. Get someone else to do it with you, preferably in your house. Soooo many times that I just wanted to quit — cause seriously I wanted a thick slice of bread or a melty chocolate chip cookie and who cares about being healthy?! — and my husband talked me out of it. I was so grateful for him doing it with me. Think about this for just a little minute. Are you cooking for other people in your house? Do you love cooking all day? Guess what? Whole30 is a lot of cooking and chopping vegetables. There aren’t many convenience foods or quick processed food options. 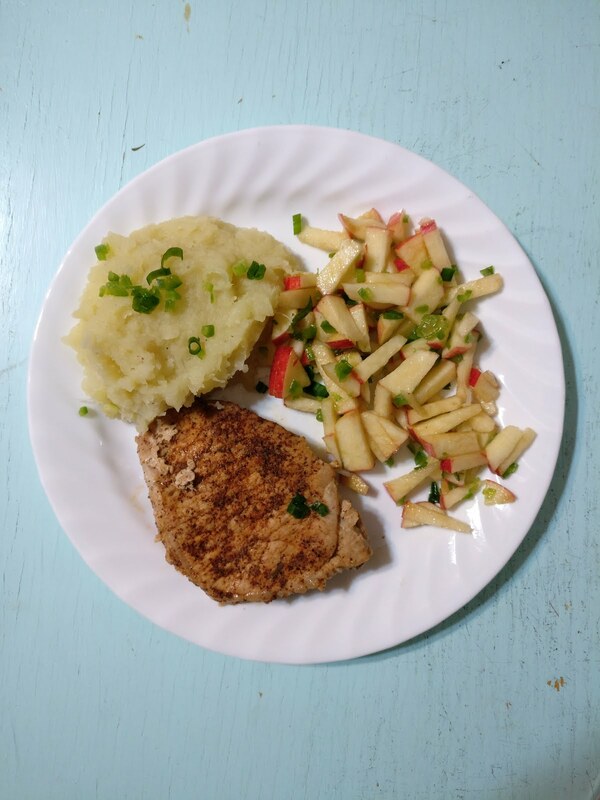 If you don’t LOVE cooking, chances are, you aren’t going to want to make your Whole30 compliant meal AND an extra meal for your kids who are beyond picky AND an extra meal for your husband who would rather eat something with flavor or cheese, thanks? Oh yeah, and try that 3 meals a day. No, thank you. Get your kids and spouse on board. 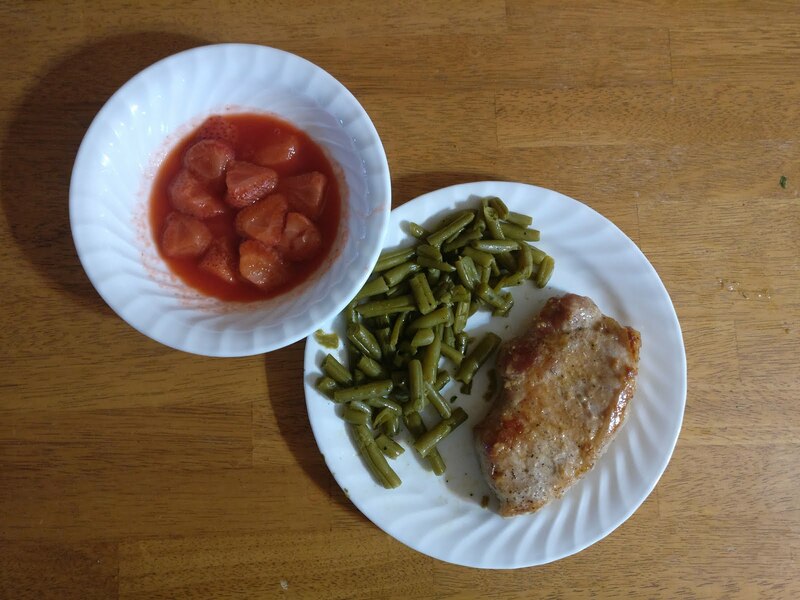 Obviously this might be harder with the kids, but don’t let them think that they get a different meal than you every night. If you’re in college or whatever, try to get your roommates on board. Do you really feel like coming home hungry, fixing up a plate of deeeee-licious veggies and chicken… and watching your roommate eat that cheesy pizza? I’m not saying it’s impossible. I’m just saying you need to plan for it, and one of the easiest ways to succeed is to bring other people on board with you. If you can’t get your family on board, get a friend to do it with you, or join an online Whole30 group. 7. Realistically, look at the calendar. Is your birthday this month? Your favorite holiday? 3 different social events with delicious food? You need to think about these things, and decide whether you want to be eating a blueberry smoothie for your birthday, cause that’s the closest thing to dessert that’s remotely allowed. (True story, about my Whole30 birthday. 2 years ago. *Sobs. *) The Whole30 people will probably say that it doesn’t matter what month you do it… but normal people have emotions, and it matters. So there you have it. 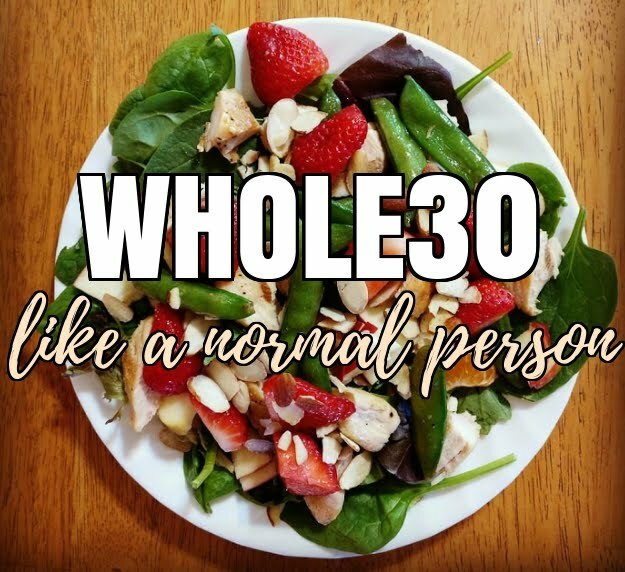 My normal- person tips for having a successful Whole30. Honestly, if you plan ahead, it won’t be that bad. Your body is going to fight it, and your brain is going to fight it, but in the end, with preparation and a support system, it’s not impossible, and it’s only 30 days. Let me know in the comments if you have any questions or anything to add.